After leaving Andy Warhol's Factory, Joe Dallesandro had a prolific film career in Europe, working with directors such as Louis Malle, in addition to later appearing in The Limey and The Cotton Club in the states. A documentary about him, Little Joe, was released in 2009. In February 2009, it was shown at the Berlin International Film Festival where he was also given a special award. (The previous year the festival gave Tilda Swinton a similar award for her work with Derek Jarman.) In the U.K. the documentary was shown at the National Portrait Gallery in September 2009. 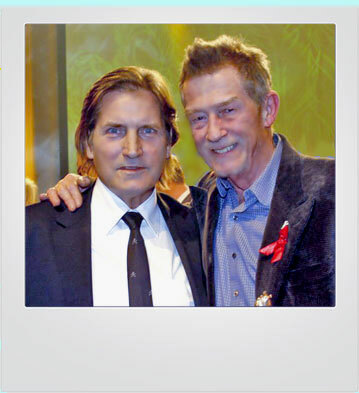 He also won a special Teddy Award that year, along with John Hurt. In January 2014 he appeared with his Trash co-star, Holly Woodlawn, at Hollywood Forever, for a Q&A and a screening of the documentary, arranged by his wife Kimberly who he re-married in 2011. (They had originally got married in June 1988 but were divorced about seven years later.) Joe and Kim currently live in Los Angeles.